Do you rely on your bike and want to make sure it stays efficient and safe? Would you like to go on a long ride but are afraid of having your bike break down far from any bike shops or transit stops? 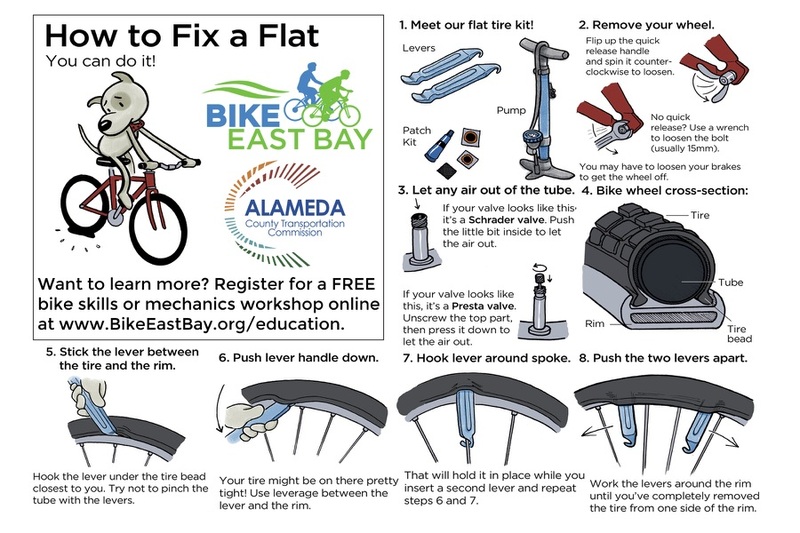 Never fear, lots of the Bike East Bay-supporting bike shops offer basic mechanics and maintenance classes, many of them for free! Check out our list below to find one in your area, and contact that shop directly for more details. 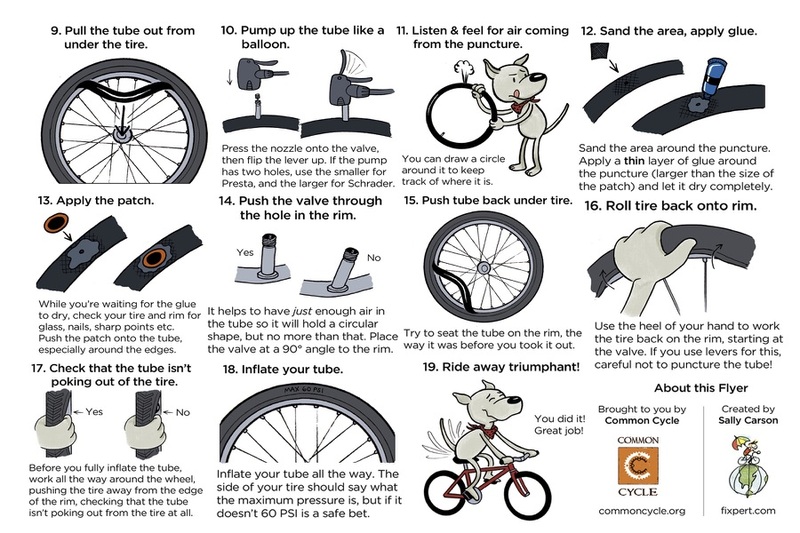 Check out bike tools for free with your library card! Does your bike shop offer mechanics or maintenance classes but is not on this list? Send us an email with the details and we will be glad to add it! These bike stands, pumps, and tools are all available for public use. Unfortunately, sometimes these repair stations are vandalized so some of them have broken pumps or missing tools. Please click on a location on this map to see the most recent update, and encourage community members in your area to treat these valuable resources with respect and care. If you have an update on the condition of one of these repair stations, or are aware of one that is not yet on our map, please let us know! 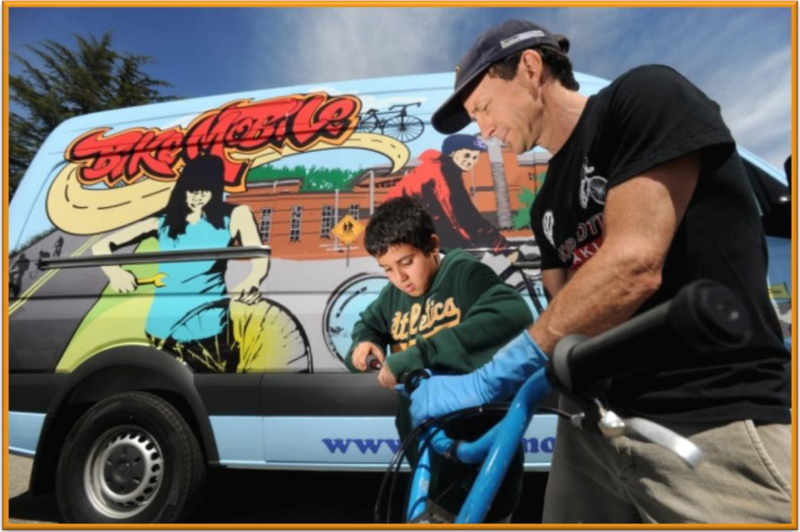 The BikeMobile is a free, mobile bike repair service that is available for events in both Alameda and Contra Costa Counties. To see their full schedule or request a BikeMobile visit for your community event, go to BikeMobile.org. Free fix-a-flat or other basic bike maintenance workshops can also be provided on site to youth and adults. Here’s a video tutorial from Binky Brown of Hard Knox Bikes. Want to learn more? Sign up for one of our FREE education and skills classes at BikeEastBay.org/education, and earn a free set of bike lights or reflective gear!